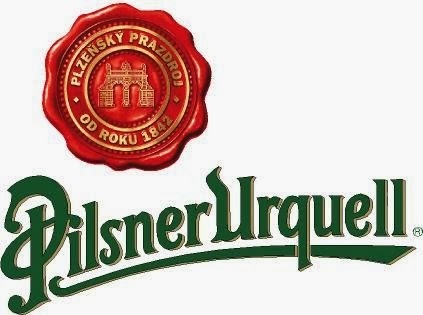 Hail To The Ale: Pilsner Urquell: Unfiltered and Unpasteurized In Chicago! Pilsner Urquell: Unfiltered and Unpasteurized In Chicago! This past week Pilsner Urquell shipped fresh kegs of their rare unfiltered, unpasteurized, barrel-aged beer to Chicago, closely guarded by third generation Brewmaster Vaclav Berka. Both made appearances at Map Room, Local Option and Paddy Long’s on November 7th for the exclusive tappings. 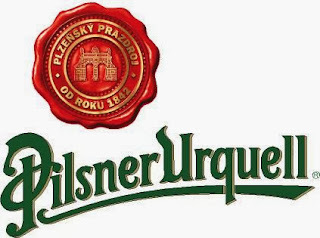 Pilsner Urquell is offering this limited opportunity to taste their historical pilsner in celebration of the 171st Anniversary of it’s creation as well as to promote their “express shipped cold” initiative. 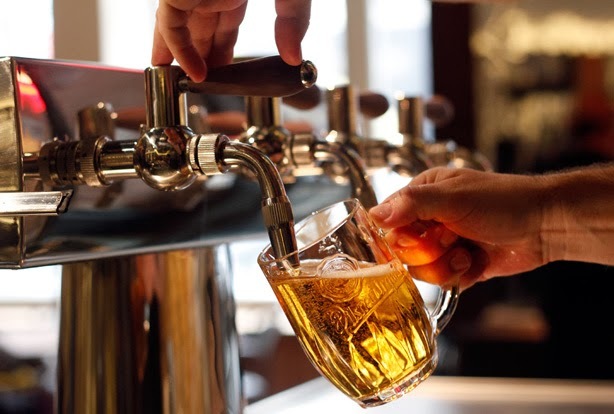 The initiative ensures that drinkers in the US will have the same experience as those in the Czech Republic. Only 80 kegs were flown to the US, 2 each for the top 24 bars from Draft Magazine and 8 kegs for the top bar. Map Room served Pilsner Urquell on a German style slider tap, which rather than pulling vertically, rotates the handle horizontally ensuring the desirable, head-prominent pour. When asked why the traditional “slice” pour, which is ⅓ beer, ⅔ foam is desirable it was explained that the thick, tight bubbles create a smooth, creamy mouthfeel similar to what we experience with beers served on nitro. It was indeed a new and very enjoyable way to enjoy this classic style of beer. This article by Esquire illustrates the four types of pours well. Brewmaster Vaclav took to the mic to share his love for Pilsner Urquell, how it defined the category and what makes their beer unique.